I recently bought the EVGA GTX 650 (USD $115) from Amazon to replace my spoilt Radeon HD 7850. In the last few months, I was able to play Diablo III and Starcraft II on the highest settings. It got me thinking if I was able to purchase a graphics card cheaply from Amazon, how much can I save if I were to purchase the components of a desktop? I decided to do some research and crunch the numbers on paper. Before choosing the PC components, I set out some parameters for the test. First, the component must be available in both Sim Lim Square (Singapore) and Amazon. This way, we can be sure we are comparing apple for apple. Second, the component must be eligible for AmazonGlobal free shipping to eliminate shipping cost. Lastly, the desktop price should be less than $2000 as I am building a mid-range desktop. To determine the price of the PC components in Singapore, I used the pricelist from Fuwell, a reliable shop in Sim Lim Square. The price is accurate at the time of writing. If you are reading this months or years from now, note that the price will have changed. 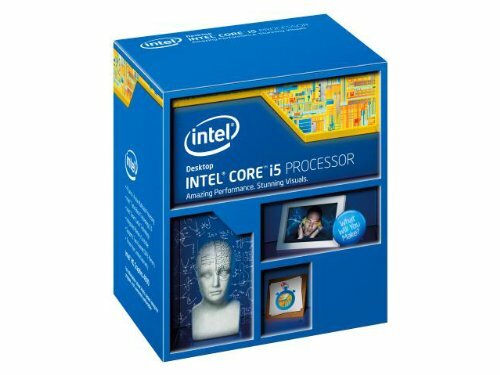 I picked the Intel Core i5-4670 3.4GHz for USD $204.99. The Intel processor is divided into i3, i5, i7 with i3 being the lowest performer and i7 being the best performer. The i5 processor is really sufficient for my needs. I will only get an i7 if I intend to do video encoding or 3D rendering. The numbers 4670 refers to the Haswell series of 22nm processors. This is the latest desktop-class processor you can get at the time of writing. Read AnandTech review on the Haswell processors. If you see a 'K' behind the processor number, e.g. 4670K, it means that the processor can be overclocked. Overclocking is not necessary. 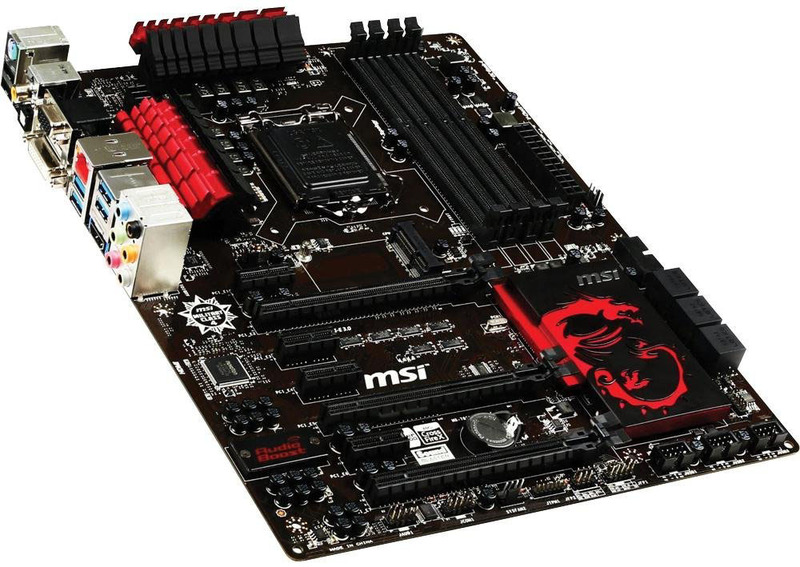 For the motherboard, I picked a black/red MSI Z87-G45 for USD $154.99. 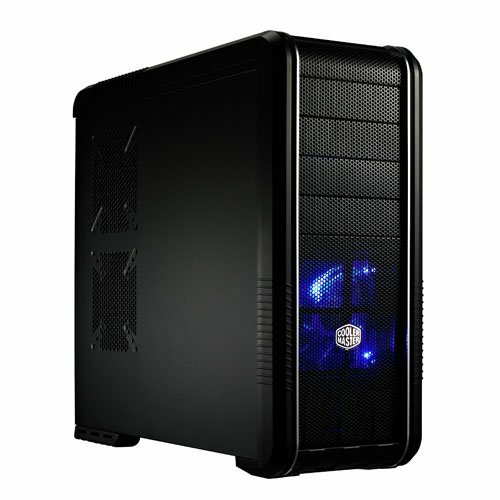 It uses the Intel Z87 express chipset and has 4 slots for DDR3 memory. This is an ATX board which means you need at least an ATX casing. If you are going for a small casing, remember to choose a mini-ATX or micro-ATX motherboard. 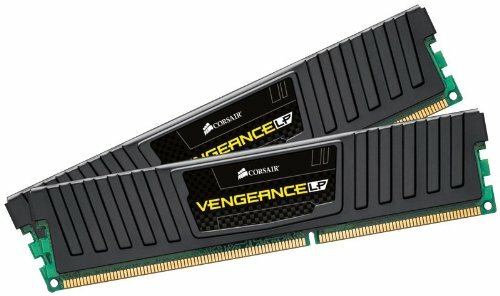 The Corsair Vengeance 16GB (2 x 8GB) DDR3 1600 MHz (USD $159.99) is chosen for the memory. 16GB is more than sufficient for desktop use. The heatsink on the memory is low-profile and that means more space for your processor heatsink fan (HSF). I had nightmares from trying to squeeze high-profile memory into slots beside large HSF before. For storage, I chose a tiered approach: an SSD and a HDD. 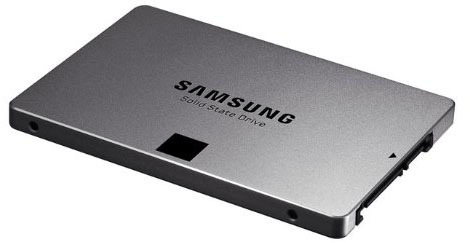 The Windows OS and applications will be installed on the Samsung EVO 840 250GB SSD (USD $144.99). This will give you fast boot-up and application start-up speed. When it comes to the movies, music and photos, I will stash them on the hard disk drive. In this case, the WD Caviar Green 3TB (USD $111.99) will do the job. The Asus GeForece GTX760 2GB DDR5 is a mid-range card at a price of USD $259.99. 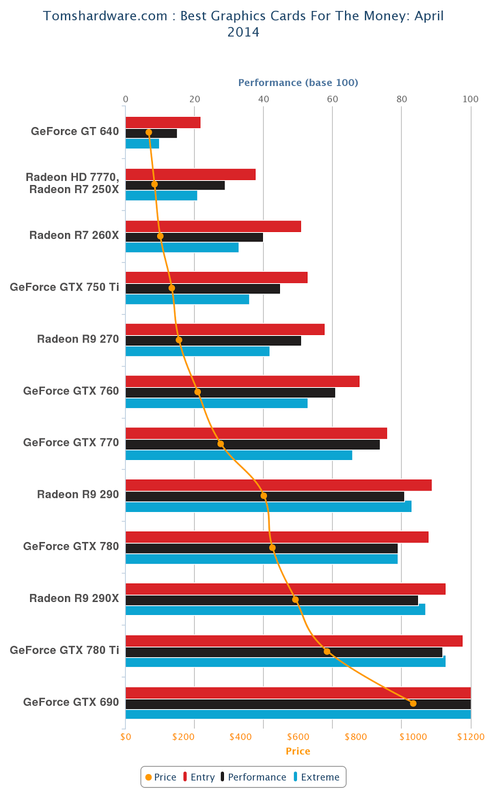 Tom's hardware recently did a comparison of the graphics card and the GTX760 is ranked 7th out of 12 places. If you want to up the card performance a bit more, you can go for the GTX 770 which is USD $339.99 (30% more than the GTX 760). The top of the range cards like the EVGA GTX 780 (USD $509.99) and the EVGA GTX 690 (USD $739.99) are very pricey and should only be chosen if you have a higher budget. The PSU is an often overlooked component but it is very important to choose a good one. The PSU converts AC from your home's power socket to the DC power that your computer component needs. A good PSU is one that is energy efficient and produces clean DC output. Energy efficiency for PSU is indicated by the 80 Plus certification that rates how much power is lost from the conversion. The Seasonic brand is one that I swear by. I personally own one and it has never failed in the last 4 years. Mine is super silent and produces little heat. The Seasonic 650-Watt 80 Plus Gold will provide enough power for the components we are building. The major power suckers in the desktop are the Intel i5 (84W) and the GTX 760 (170W). Nvidia recommends a minimum 500W PSU and the Seasonic 650W provides more than sufficient headroom. 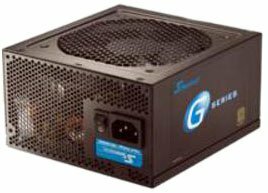 If you are using a higher-end graphics card, get a higher-watt PSU. After choosing all the components, I put the prices into a table. 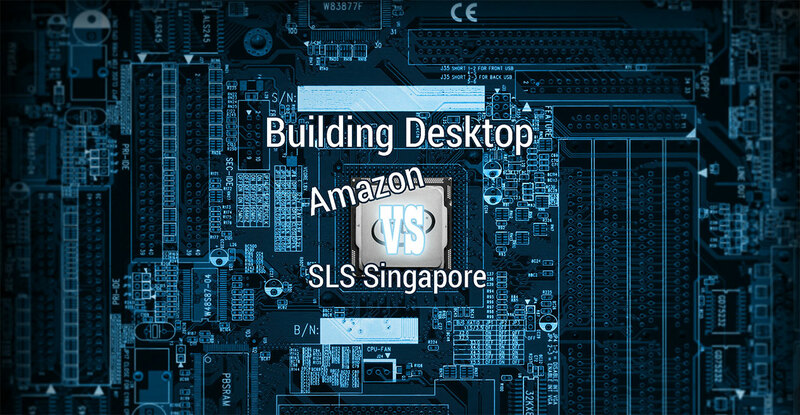 There are two columns for Amazon in USD and SGD (using a FX rate of 1.3 SGD to USD). The third column is Fuwell's price published in the 12 Apr 2014 price list. This last two columns gives the difference in price in absolute dollar and percentage. This gives you an accurate sense of savings you an expect. The best value for money items to get from Amazon is the Samsung 840 EVO 250GB SSD and the ASUS GTX760. Each of them nets an absolute savings of SGD $87. My friend has bought the Samsung EVO from Amazon before and it works really well for him. I believe these items are safe to get without much risk. The next substantial saver is the processor and motherboard combo giving a saving of SGD $50. Majority of the shops in Sim Lim Square will sell you a processor and motherboard combination giving you a cheaper price. Hence, the table shows a combined price. In my opinion, it is better to get these components in Singapore. Based on my experience of building desktops, motherboards are finicky component. I have trashed three motherboards till date. You will want to be able to replace faulty processor and motherboard locally. Next up is the Heatsink Fan and Memory. Although the savings is only SGD $20, these components are reliable. I have yet to have HSF and memory failing on me so these are safe to get from Amazon. The items with the least savings are the PSU and HDD. You can get other brands if Seasonic doesn't appeal to you. Good quality PSU tends to be heavy (~ 3kg) because of the transformer and good quality heatsink. As for the HDD, the price is comparable to Amazon. My verdict is to get the PSU and HDD locally and support our local hardware store. There are several items you need to source to get the full desktop experience. You need a computer casing to hold everything together. Computer casings are a dime a dozen in Sim Lim Square. Choose a casing that you like because you will be looking at it for a long time. An average casing should cost between $100 to $200. Casing that cost below $100, the metal structure can be flimsy and shears easily (be careful not to cut yourself). CoolerMaster has many nice casing. This is 690 II Advanced. For playing music, the built-in sound card on the motherboard will be sufficient for most. If you are an audiophile, you can go for a SoundBlaster sound card or an external DAC. I use the Creative X-Fi HD to plug my PSB Alpha PS1 speakers and Sony MDR-V6 headphones in. If you are connecting to your router over wifi, you will need a wifi dongle. 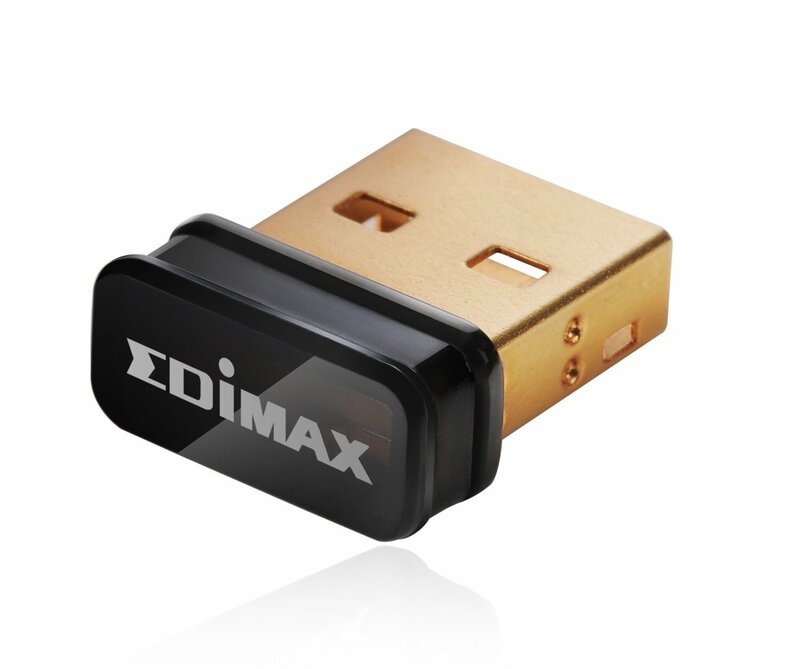 Check out the Edimax Wireless 11n USB adapter that is only the size of a twenty-cent coin. For keyboard, I have done a review on the CM Storm QuickFire mechanical keyboard before. I highly recommend you check it out if you value the tactile typing experience. As for the mouse, I have been using the Logitech wireless marathon mouse for 6 years now. I love this mouse a lot and Logitech's claim that the battery will last 3 years is true: I only changed the battery twice so far. After researching, I find that you can get substantial savings when you buy SSD, graphics card, memory and HSF from Amazon. For the processor and motherboard, the risk outweigh the savings for me. So if you are risk-averse like me, buy locally, else buy from Amazon. This has been a fruitful exercise for me. For the next desktop I am building, I know where to get my parts from. If this is your first time buying from Amazon, read my guide on how to search for products that has free shipping to Singapore.